The 300 square meters of walls contain all the morphologies that may exist in the external environment, positives, negatives, ceilings, cutouts and dihedra. We have purchased thousands of grip from the best manufacturers such as HRT, LAPIS, AIX, VOLX and others. "I do not want to write about climbing, I do not want to talk about it, I do not want to photograph it, I do not even want to think about it, all I want is climbing!" 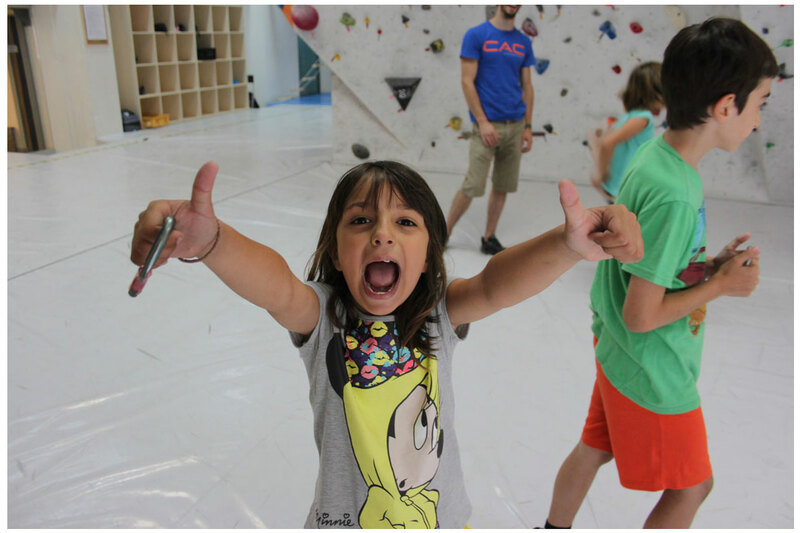 The Rockway Gym offers kids and grown-ups to come in contact with rock climbing by organizing one-day excursions to various locations in Attica under the supervision of experienced instructors. In our specially designed space you now have the opportunity to organize your child's party with utmost security. An amazing place with very helpful trainers who are next to you at any moment! After the workout I will relax in the wonderful RockWayClibing coffee and I will discuss with people who share the same passion "Climbing" for the signs of the track !!! Climbing is addictive, it's fun! It helped me in my gathering and of course I train my whole body! An amazing experience in a great location, very welcoming! I would recommend everyone to try it! He began climbing in 1991, after 2 years of intensive engagement with the sport he made some of the most difficult climbing routes in Greece. Born in Athens in 1986. Graduate of Automation Department at TEI Piraeus and Psihiko Lyceum graduate. He was born in Livadia in 1984 and at the age of 10 he began climbing and snowboarding at the HFC. Livadia. Aliferis GeorgeRock Climbing Instructor Ε.Ο.Ο.Α. He has been practicing systematically since his seven years. He began his practice of climbing in 1995, at the age of 19. In 1999 he was honored by EOOA. (Hellenic Mountaineering and Climbing Federation) for the new route "In memory" in Skolio Olympou. Born in Athens in 1986. Graduate of "Physical education and Sports Science" specializing in sports tourism. From Maroussi you will climb Perikleous Street and cross the Eirene Avenue passing through Pefki, then renamed Amarousiou Avenue and at the height of the Grenn Hill Hotel, on your left hand you will go left in the road of Semirioti. At the end of the road you will go left and right on Mantzarou Street. After 20 meters it cuts diagonally with the projection and turns left. You arrived !!! From Heraklion, you will climb the Heraklion Avenue to the end, at the traffic light that you will have in your right hand the Poretzan butcher. At the junction you will take the right to Maroussi Avenue and on the 3rd narrow road, in the direction of Semirioti, you will go right. At the end of the road you will go left and right to Mantzarou Street. After 20 meters it cuts diagonally with the projection and turns left. You arrived !!! By public transport you can get to RockWay via the A8 bus line and get off at 9 am Maroussi stop!